In the beginning, the theatre was the temple of fashion. During the reign of Louis XVI and Marie Antoinette, whatever was being worn at court was shown at the theatre, on stage, and in the audience. The queen’s dressmaker, Rose Bertin, dressed half-sized wooden mannequins with miniature versions of her latest creations and accessories and had them driven to the various courts of Europe in magnificent coaches. And so the catwalk was born. 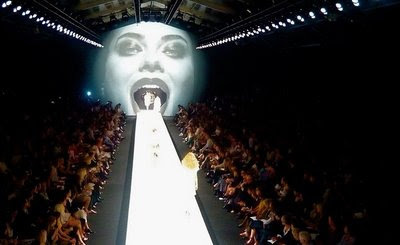 To this day, great fashion is still theatre and spectacle rolled into one. It is a form of theatrical self-portrayal and a highly charged form of self-dramatisation. 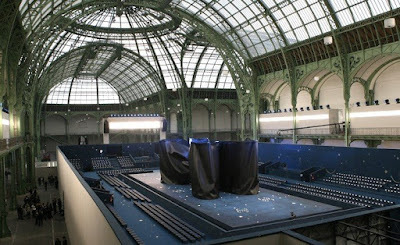 The Catwalks exhibition will highlight a dozen of the most spectacular shows of the past 30 years: grand performances (Dior), the circus as a theatrical chamber of wonders (Galliano), dramatic performances (Alexander McQueen), or the catwalk as a table set for a celebratory dinner (Dries van Noten). Visitors will themselves become catwalk models. 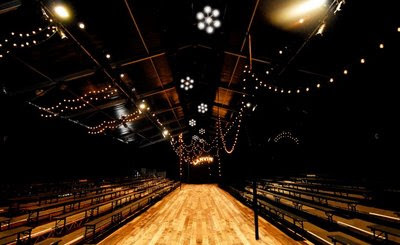 By walking along the catwalk, they will become part of a number of major fashion shows, which will be brought to life and transformed into a 3D spectacle in video projections and multimedia installations. 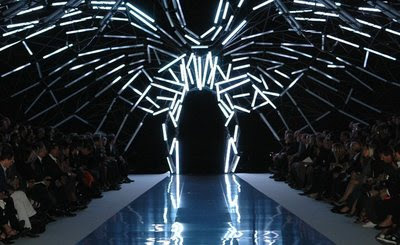 The partners of this exhibition are German Vogue and Alex de Betak, one of the greatest directors in the fashion show business and a man who has worked for highly influential fashion labels such as Viktor and Rolf, Hussein Chalayan, 10 years for Galliano and Dior, and more. The realisation in the hands of Parisian video artists Kai von Ahlefeld and Maria Spahn from "ueberraum". 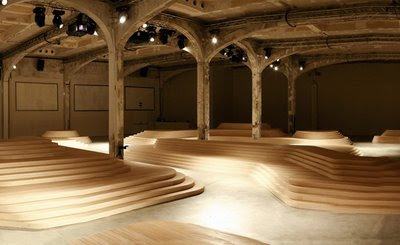 When asked to sum up the project, which will include collaboration with some of the world’s most influential designers, Petra Wenzel and Werner Lippert had this to say: ‘We are looking to the future, recording the significance of fashion shows, which for many designers have become more important than the collections themselves. Tuesday to Sunday: 11.00 a.m.–8.00 p.m. Visitors enter the exhibition at their own risk. Photographs courtesy of Wallpaper magazine. Εψαχνα για εικονες απο catwalks και ετυχε να διαβασω το cv του Στρατου...Σπουδασα για 8 χρονια Πολιτικοσ Μηχανικος στο ΕΜΠ,αλλα δεν εχω παραδωσει τη διπλωματικη μου για να παρω πτυχιο και τωρα ειμαι στο Παρισι για Fashion Design....Ελπιζω εγω να το παρω τουλαχιστον το πτυχιο!!! !